So, in this case, the understatement is the fundamental idea that the Spiritual freedom, the Liberation is not “something” (an energy or a reality) external to us. The Liberation and our being “come into being” or “get born” together. On the other hand, sahaja suggests that samsara (the manifested world) and nirvana (the transcendent reality) are “born together” and, therefore, there must be a common underlying background where they originally came from and where they coexist. The individual (the subject or experiencer) who succeeds to remain in the Spiritual Heart gets to actually live in the Reality revealed to him not only in ecstatic meditations, in nirvana, but also in the world – samsara. Thus, samsara becomes integral part of the Reality. The wisdom of maintaining the true natural spontaneity or sahaja was termed, in Buddhism, “the direct spiritual path” (uju-patha) or “the royal path” (raja-patha). The dzogchen tradition terms it as the Natural State. Unlike the states of cosmic consciousness or samadhi , experienced only in meditation, sahaja brings this realization down to the level of the physical body and of the material world. In this process, the hatha yoga practices have their own importance. 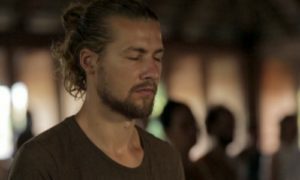 The Yoga of the Spiritual Heart includes methods and techniques focused on favoring the awakening and expression of the state of sahaja, naturalness (natural simplicity). The return, at all levels (physical, psychic, mental) to the state of perfect naturalness, sahaja, keeps us fixated within the unifying intuitive knowledge of the Reality. This is also the message of the Yoga of the Spiritual Heart. Through the practice of the Yoga of the Spiritual Heart, we open ourselves to sahaja, spontaneity, naturalness, freedom which radiate continuously from the Heart. The naturalness or candor of this feeling is expressed through essential simplicity. But this simplicity includes everything. It is a holistic vision, which means that it is non-dualistic and all-pervasive. It is a pure feeling which comes from the Heart in each and every moment of life. This feeling is detached and very intimate at the same time. It is the simplicity of the Witness Consciousness.